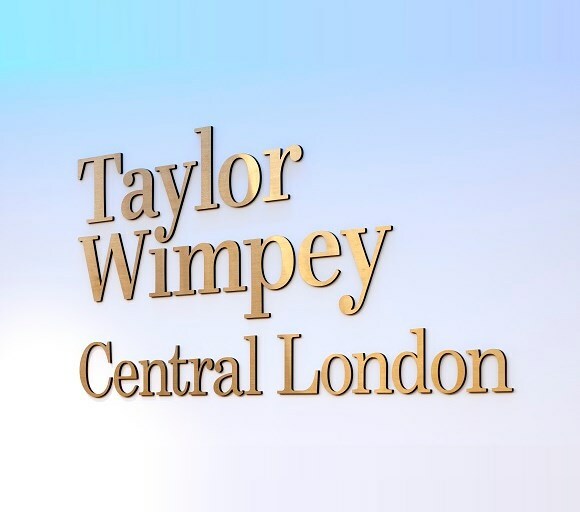 Taylor Wimpey Central London is part of one of the largest residential developers in the UK, the FTSE 100 listed Taylor Wimpey Plc. At Taylor Wimpey Central London we take a bespoke approach to create distinctive luxury properties in central London locations that truly stand out from the crowd. While every development in our portfolio is unique, all share the same ideals of expert design, high quality craftsmanship, practicality and investment security. And all come with our guarantee of excellent customer service. George Wimpey and Taylor Woodrow merged in 2007 to form Taylor Wimpey. We are proud of the heritage of both companies, which have a history of successful homebuilding and construction dating back more than 100 years. Though based in the UK, in the past both companies have worked across parts of Europe, the United States, Australia, Asia and Africa. In the UK, the two companies had an important role in building homes and regenerating urban areas. Both Taylor Woodrow and George Wimpey were well known for their homebuilding businesses, which is the area that we, as Taylor Wimpey, are now focused on. Our customers are at the heart of everything we do. We choose locations with great potential, in sought-after parts of central London. We design each development individually to make the best use of every feature inside and out, providing maximum space and light, and convenient access to local amenities and transport. We also invest in the surrounding area to ensure the best quality of life for everyone in and around our developments, now and for the future. We design, build and finish to the highest standards, providing a ten year NHBC guarantee. This is complemented by a warranty from Taylor Wimpey Central London for the first two years for maximum peace of mind on the quality of your property and security of investment. With our wide ranging portfolio of developments across the heart of the capital, we are sure to have an apartment or house to suit every lifestyle and budget. Our experienced, dedicated team of experts will help you every step of the way. Our developments are sold through UK agents with international market expertise. Our internal sales team oversees the whole process, to ensure that the high standards of Taylor Wimpey Central London are met throughout, and that your queries and instructions are handled with the care and attention. Once the process moves to exchange of contracts, our Customer Relations team takes over, and guides you through to completion. Based in offices in Soho, London, our team of dedicated professionals is committed to sourcing, designing and delivering exceptional apartments and houses for our customers. We pride ourselves on nurturing a hard-working and friendly office environment, supporting talent and developing individuals. Phil joined Taylor Wimpey Central London as Regional Managing Director in 2017, with over 25 years residential and retail property and development experience in the private, public and not-for-profit sectors. Phil leads a business division tailored to suit the unique central London market and oversees the delivery of many desirable, place-shaping developments across Zones 1 and 2, catering for a diverse range of people and communities. Ingrid is the Divisional Managing Director of Taylor Wimpey Central London and East London. She has created a business division tailored to suit the unique central London market, and has successfully overseen the delivery of many highly desirable developments across Zones 1 and 2, catering to a diverse range of people and communities. Kurt is the Operations Director with direct responsibility for the successful purchasing and commercial management of all Taylor Wimpey Central London projects. He and his team are committed to continually improving the high specification of our houses and apartments. Richard heads up the Land and Planning team and is instrumental in securing well located sites within prime Zones 1 and 2. His team's commitment and dedication has enabled us to find some of the best locations for development in central London, resulting in ideal choices for our customers. Kelly joined Taylor Wimpey Central London as Head of Customer Relations in 2016 with over 8 years’ experience working in the real estate industry. Kelly leads a team of customer relations professionals who provide a highly personalised and dedicated service throughout the purchasing process and beyond. Kelly’s responsibilities also include overseeing community engagement. Robert is responsible for our Projects teams, overseeing the design and delivery of all our central London projects. Working with renowned architects and contractors, Robert ensures that our unique philosophy and commitment to quality are incorporated in every project. Mark leads the Central London Commercial team and is responsible for the commercial function across all of our developments. His main focus is on driving value through our supply chain and managing commercial and legal risk across our portfolio of projects. Mark’s qualifications include an MBA, an MSc in Construction Law and International Dispute Resolution and a BSc (hons) in Quantity Surveying. Richard is Finance Director of Taylor Wimpey Central London. He ensures that we both benefit from, and contribute to, our place within Taylor Wimpey plc, a FTSE100 company. Jon is Project Director for the regeneration of the Winstanley and York Road estates in the London Borough of Wandsworth. The scheme will see over 2,000 new homes built in Battersea, between Clapham Junction station and the Thames, in a joint venture with the local authority. Jon’s role is to lead the project team, developing long term relationships with local stakeholders, investors and residents.